Homegrown Fantaseeds Homegrown Skunk #1 is a classic Dutch strain. A perfect harmony between Afghani, Mexican and Colombian genetics that has influenced most types of Cannabis after the discovering the breeding potential of this strain. Skunk #1 is one of the easiest strains to grow making her favourite for first time growers, but her consistent high quality has many experienced growers coming back to this strain over and over again. Skunk #1 is a genuine strain and is used a lot for crossing. 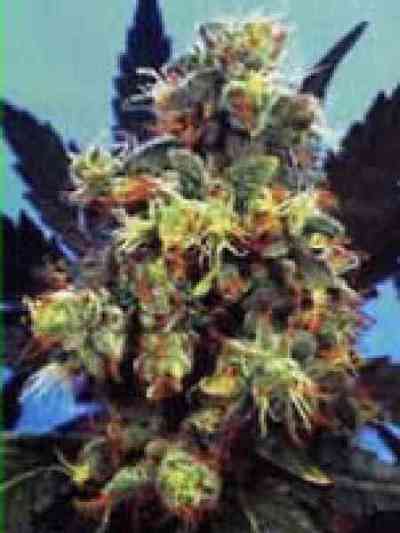 With its fast flowering, this Skunk #1 is a must for everybody who wants to start crossbreeding their own variety. Very nice flavour & strong aroma.